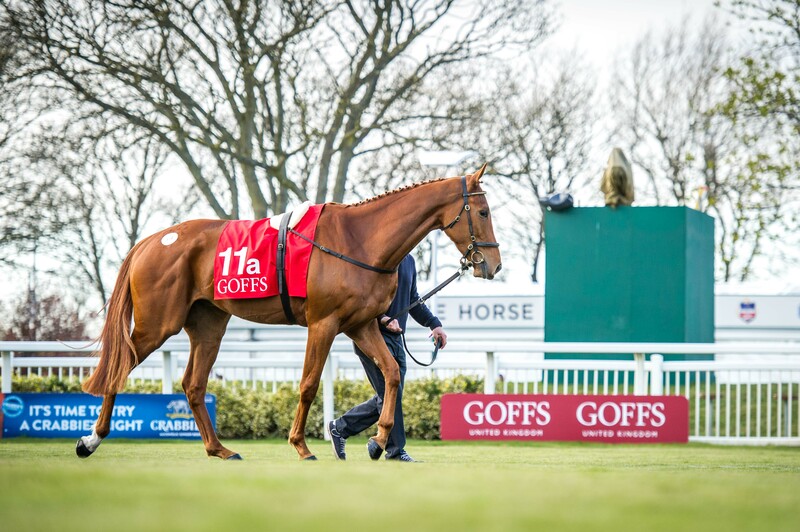 The debut sale for Goffs UK, the inaugural Aintree Sale, has made the best possible start in the famous Aintree Winners’ Enclosure with a strong set of results which saw six lots sell for in excess of £100,000. Topping today’s trade was Milestone Stables’ four-year-old Samcro (pictured) who was sold to Gordon Elliott after a prolonged battle for £335,000. The son of Germany shares his sire with the Goffs Land Rover graduate Faugheen and was touted as a future star after his effortless debut Point-to-Point win at Monksgrange at the weekend. His sale headed a strong set of figures which saw the average finish at £103,333 and a turnover of £2,170,000. In total 3 lots topped the £200,000 mark tonight and it was Gurtacrue Stables’ unbeaten Bumper winner Give Me A Copper who set the benchmark earlier in the sale when selling to Tom Malone for £270,000. Ballygelly Stables’ Black Op also attracted strong interest in the ring before selling to Roger Brookhouse for £210,000. “From the very first moment this sale was announced we got huge support from our vendors and we are very grateful to them for helping us stage such a successful Aintree Sale. In addition, the Aintree Executive, headed by Andrew Tulloch and Carly Goodall, could not have been more proactive in ensuring that the facilities were second to none for a boutique off-site sale. “There is no doubt today has established the Goffs UK Aintree Sale as a significant date in the calendar and we look forward to building on the very solid foundations laid this evening."